I arrived at the stream by 9:00 AM, and the water was high but clear. 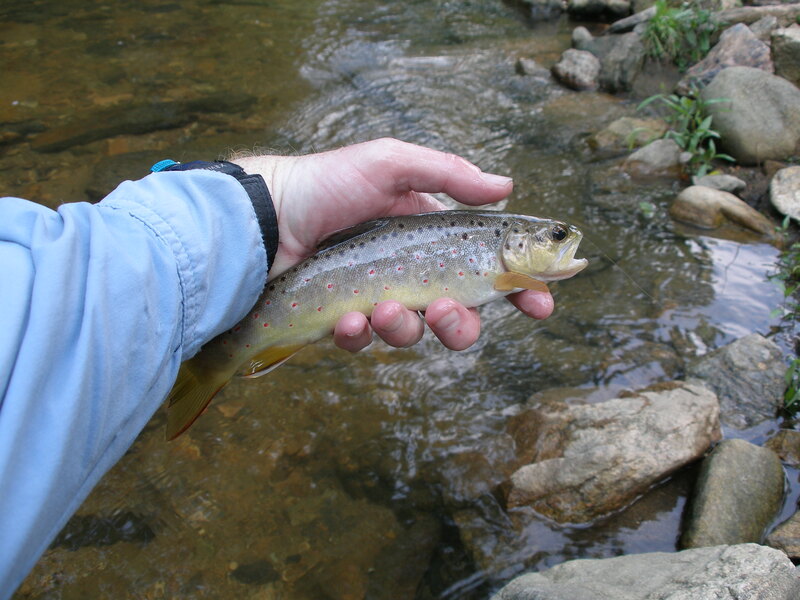 I parked at the state game lands parking lot and hiked down Forgedale Road, until I saw a yellow posted sign, and here I entered the stream and began fishing upstream. I tied on a yellow Letort hopper with a beadhead hares ear dropper. 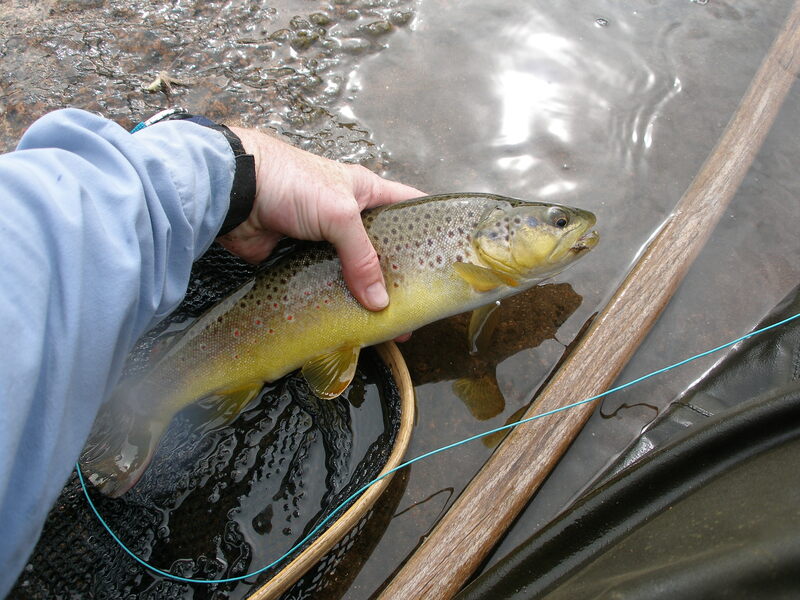 It did not take long, before I started catching browns, some in the eleven to twelve inch range, and this surprised me. I prospected all the likely runs and pockets, and I ended my fishing at around 1:30PM in order to get back to Mom and Dad’s to take them to Cabela’s. I stopped just short of the deep hole referred to as The Rocks. 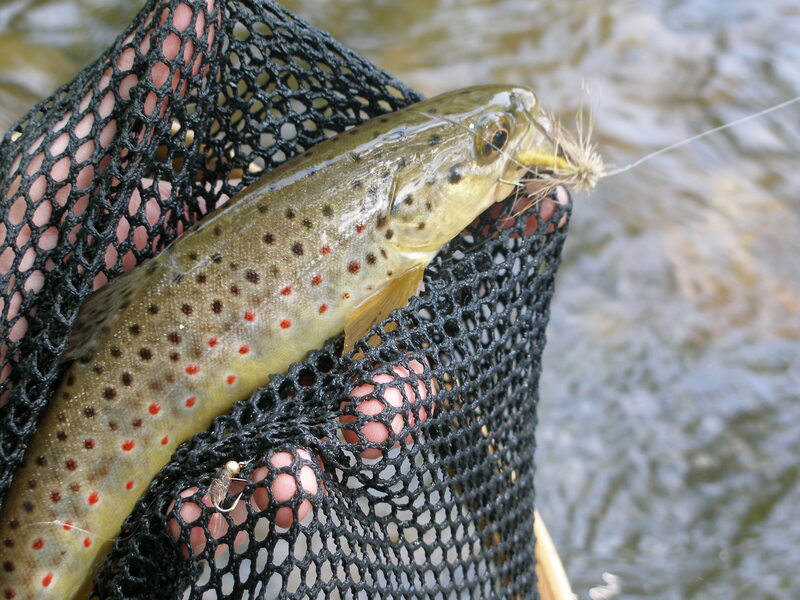 I was quite pleased to land twenty-three trout, all browns. Five net dwellers took the hopper on top, and the remainder grabbed the beadhead hares ear nymph. I fished the area with a parking lot upstream from Whale Rock. 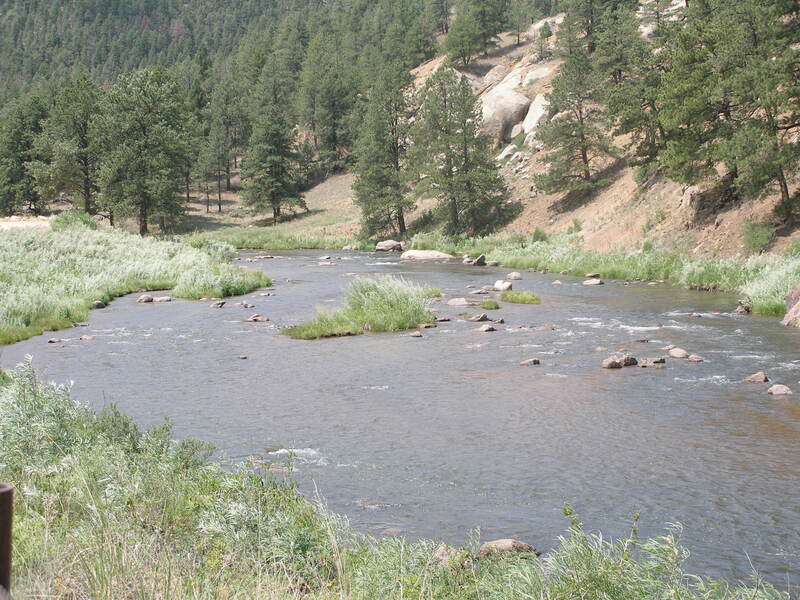 The flow was at 235 cfs, and that was higher than previous trips to the South Platte. I landed three small trout. It was pretty slow, but the lack of action may have been attributable to the abundance of tubers disturbing the water. 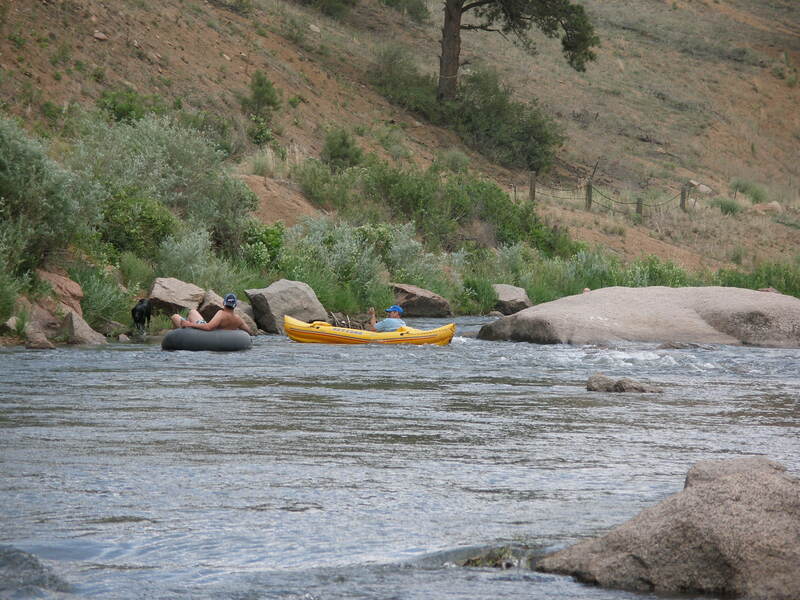 Jane and I escorted Dan and his two friends, Eric and Wei, to the South Platte River. 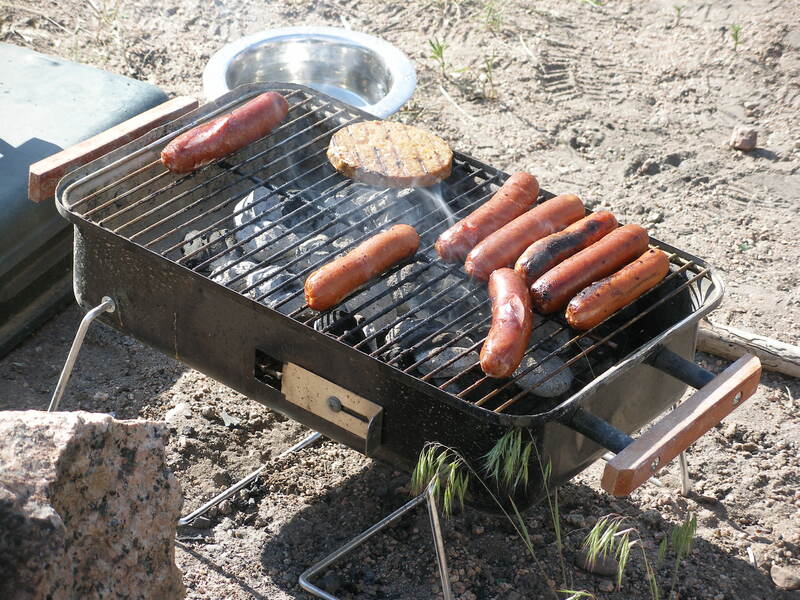 We fished from around 2:00 – 5:00PM, and then we grilled brats and a veggie burger and had a picnic dinner. 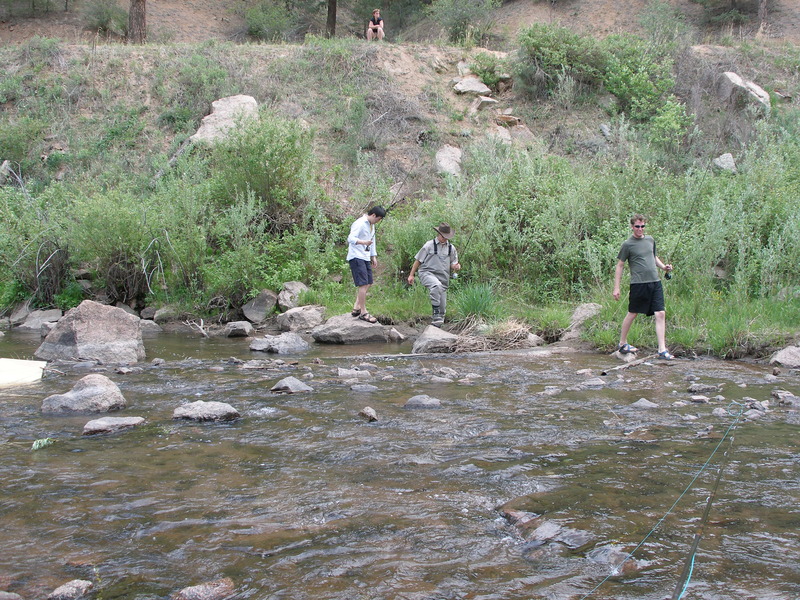 Wei landed one trout, Dan caught two and landed one, and Eric hooked up on one but did not land it. June 4 was a beautiful day in Colorado. After meeting with success on Memorial Day, I checked the flows, and the South Platte River below Cheesman Dam was 71CFS. 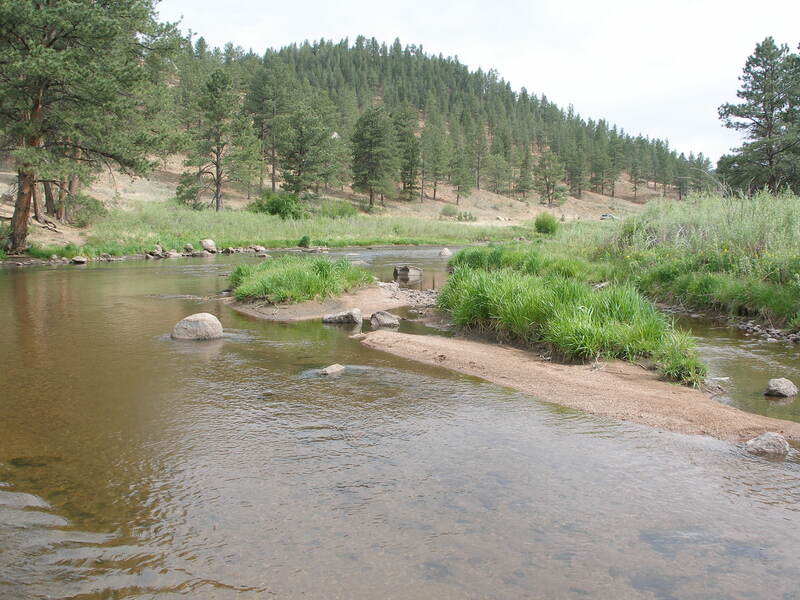 This flow rate remained low and fishable compared to other streams that were under the influence of snow melt. Based on this information I headed to the Nighthawk area somewhat upstream from where I fished on Monday. I arrived and began fishing around 3PM until 6PM. I landed 5 trout, several of very nice size. Today I will be guiding Dan and friends in the stretch I fished on Monday.